Another new species that I have not grown before from Western Australia. 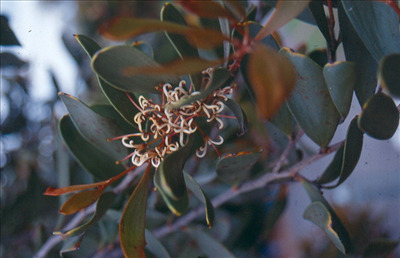 It is an upright shrub with large flat obovate leaves and white/red profuse flowers. Looks attractive. An interesting shrub for sandy soils in full sun or partial shade situations.